Neve Award winner 2018 at dBs Music Plymouth announced! After working hard on his course, we are pleased to announce that Bill Sellar has been selected as this year's Neve Award winner in Plymouth. Bill studied on the Audio and Music Production FdA and carried on to complete the BA (Hons) top up then went on to work at Super Audio Mastering, assisting a couple of days a week. Bill has now set up his own studio and started working on quite a few commercial projects. You can read all about Bill's recent work on a previous blog post. 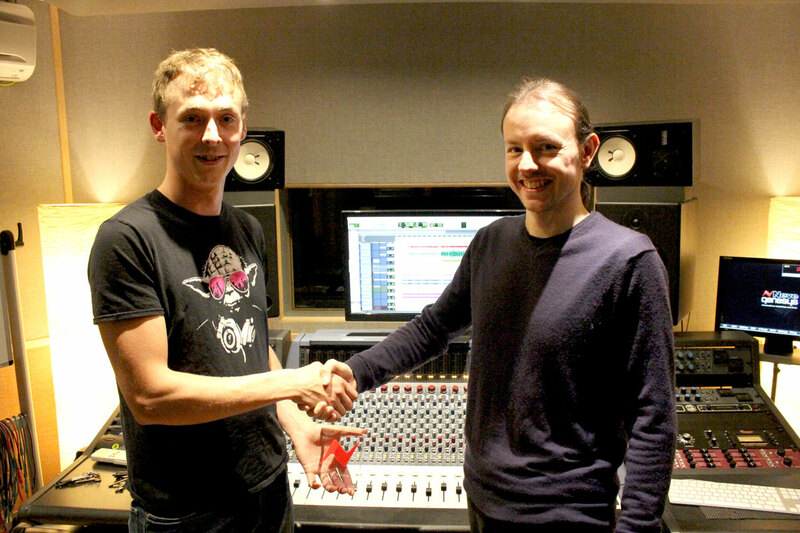 Tutor at dBs Music, Stu Welsh [pictured right] explained about Bill's selection for the award, "Bill was selected to receive the AMS Neve Award 2018 as he has been an outstanding student on both the FdA Audio & Music Production Course and the BA (Hons) Music Production Top-Up. "However, the reason Bill was selected aside from his academic achievements, are the resourcefulness and entrepreneurialism he has repeatedly demonstrated over the past three years. Bill has always been interested in an area of the Music Industry related to the Mixing and Mastering and, during the course, Bill has set-up his own Mixing and Mastering business, TruPeak Audio, literally from the ground up by building a custom built studio from foundations to complete studio. Alongside this project he has continually and consistently sought out vocational opportunities to enhance his own practice such as securing a role at Super Audio Mastering with, legendary Mastering Engineer, Simon Heyworth. He is a great example of how hard work and determination can achieve great results."